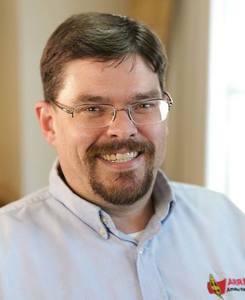 ARRL's new Chief Executive Officer, Barry Shelley, N1VXY, moved one floor down at ARRL Headquarters earlier this year to assume leadership of the organization with an overarching goal of promoting the League's mission: "To advance the art, science, and enjoyment of Amateur Radio." Shelley has spent much of his tenure at ARRL Headquarters toiling out of the limelight, so he's a bit of an unknown quantity within the greater Amateur Radio community. 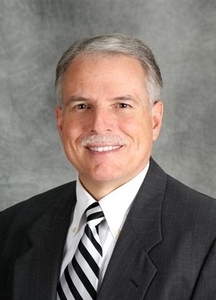 But he brings to his new position nearly 3 decades of experience as ARRL's Chief Financial Officer. Shelley intends to leverage that background in his role as CEO, enabling him to hit the ground running. "I am familiar with the issues that matter to ARRL members and the Amateur Radio community at large," Shelley pointed out in his inaugural "Second Century" editorial, "Advancing Amateur Radio, Together," in the April issue of QST. He acknowledged that with both ARRL and Amateur Radio undergoing "a great deal of change," not all League members will necessarily be on the same page, but he believes disagreement about the way forward "can be healthy, and bring new perspectives to light." At the same time, he encouraged individuals to "remain respectful and constructive" in discussing issues. "In my opinion, fulfilling ARRL's mission means doing so for all Amateur Radio operators, regardless of their license class, level of technical ability, or particular interests within the wide range of activities that Amateur Radio has to offer," Shelley allowed. Increasing the number of younger radio amateurs will benefit both the avocation and ARRL, he said. And, Shelley added, that despite any generational rift -- perceived or otherwise -- between older and younger hams, "There's more to enjoy than ever before -- Amateur Radio in 2018 looks and sounds different than it did in 1968 or even in 1988 -- and licensing numbers indicate that people are still interested in exploring Amateur Radio." Blazing the trail for Amateur Radio's future should involve all hams, Shelley believes, and he urged hams to be there for each other. The ARRL Board elected Shelley as CEO in January, to succeed Tom Gallagher, NY2RF, who retired. 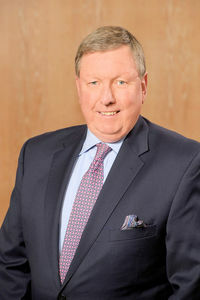 As Shelley nears his own retirement over the next 18 months, the League continues to advertise for applicants to fill the CEO position on a long-term basis. Read more. ARRL President Rick Roderick, K5UR, used the occasion of National Volunteer Week, April 15 - 21, to express gratitude to "the thousands of Amateur Radio operators who have given, and who continue to give, of their time and expertise" to serve as vital communication links during emergencies, disasters, and community events. Throughout the past year, President Roderick recounted, ham radio operators have volunteered during hurricanes, wildfires, and severe weather to support communication for emergency evacuation shelters, pass health-and-welfare traffic to anxious families, and partner with the National Weather Service as SKYWARN volunteers to report local weather conditions. Hams also volunteered during the solar eclipse last August, working with scientists to record its impact on radio propagation, he pointed out. ARRL President Rick Roderick, K5UR. "Amateur Radio volunteers have a long history of providing service and support to their communities and our served agencies," Roderick said. "As this avocation continues to evolve, alongside the technological advances in telecommunications, we are proud that, as hams, public service to our communities will continue to be at the core of who we are." Echoing President Roderick's remarks, ARRL Emergency Preparedness Manager Mike Corey, KI1U, cited Amateur Radio's volunteer spirit as one of its most admirable aspects. "Radio amateurs have taken their passion for radio, communication, science, and technology and given back service in so many ways," Corey said. "Radio amateurs teach, inspire, offer insights to the world that others cannot, assist during times of emergency and disaster, and report to assist during such community events as marathons and festivals," he said. ARRL Emergency Response Manager Mike Corey, KI1U. "Volunteerism has always been at the heart of Amateur Radio, and it is through the work of volunteers that Amateur Radio will be there for future generations to enjoy." National Volunteer Week is sponsored by Points of Light, an ARRL partner through National Voluntary Organizations Active in Disaster (VOAD). Points of Light called the week-long observance "an opportunity to celebrate the impact of volunteer service and the power of volunteers to come together to tackle tough challenges and build stronger, more resilient communities." "Each year, we shine a light on the people and causes that inspire us to serve, recognizing and thanking volunteers who lend their time, talent, and voice to make a difference in their communities," the organization said. Wednesday, April 18, is World Amateur Radio Day (WARD), this year marking the 93rd anniversary of the International Amateur Radio Union (IARU), founded in Paris in 1925. Each year, WARD celebrates Amateur Radio's contribution to society. "World Amateur Radio Day is an opportunity for our member-societies to show our capabilities and promote the use of Amateur Radio, both on the air and through social media," IARU President Tim Ellam, VE6SH/G4HUA, said. "It is a celebration of what the Amateur Radio Service has brought to the public over the years, and of our ability to provide communication to assist others in times of crisis." Amateur Radio experimenters were the first to discover that the shortwave spectrum -- far from being the wasteland "experts" of the time considered it to be -- could support worldwide propagation. In the rush to use these shorter wavelengths, Amateur Radio was "in grave danger of being pushed aside," the IARU's history has noted. Amateur Radio pioneers met in Paris in 1925 and created the IARU to support Amateur Radio around the globe. Two years later, at the International Radiotelegraph Conference, Amateur Radio gained the allocations still recognized today -- 160, 80, 40, 20, and 10 meters. The IARU has been working to defend and expand Amateur Radio frequency allocations ever since. "I wish all amateurs a fantastic day of celebration of Amateur Radio, encourage everyone to get involved, and, most of all, to have fun!" IARU President Ellam said. The sunspot numbers have not been good, and it does not seem they'll be getting much better anytime soon. According to the April 12 "K7RA Solar Update," no sunspots were seen over the April 5 - 11 reporting week. Solar flux has been sitting in the 60s lately and is forecast to remain at that level for the next 45 days. We're not at solar minimum yet, though; better days lie ahead -- eventually. Frank Donovan, W3LPL, during a 2017 presentation on propagation at the Fair Lawn (NJ) Amateur Radio Club. Top contester Frank Donovan, W3LPL, asserts that solar precursors like spotless days, which correlate physical solar phenomena with future solar activity levels, are much better indicators of progress toward a solar minimum -- a broad phase of the solar cycle -- than of a specific event, such as the bottom of a broad solar minimum. Not only that, these and other solar precursors are useful in predicting the likely strength of Solar Cycle 25, although accurate predictions of the strength and timeframe of the Cycle 25 solar maximum aren't possible until the new sunspot cycle is under way. "We entered the Cycle 24 solar minimum with the onset of 8 spotless days in June 2016," Donovan pointed out. "We had only 32 spotless days in 2016. We had 15 spotless days in a row in March 2017, followed by relatively infrequent spotless days for the next 7 months." The frequency of spotless days accelerated in early November 2017, with 13 spotless days in a row. That was followed by many more spotless days over the next 5 months. In all, 2017 experienced 104 spotless days. "The frequency of spotless days accelerated again last month, when we had 25 spotless days," Donovan noted. "We've already had 54 spotless days during the first quarter of 2018. This data and comparisons to frequent spotless days during the last solar minimum suggests that we may have just begun a period of very frequent spotless days for approximately the next 2 years, similar to the period of September 2007 through January 2009." Donovan said the next solar precursor is frequent extended periods of spotless days. For example, 2016 saw 14 spotless days in a row, March 2017 had 15, November 2017 saw 13, and early March experienced 14. This chart shows the number of spotless days -- in red -- since the 10th spotless day of the onset of solar minimum in July 2016. 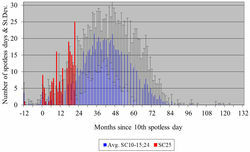 In blue are the average numbers of spotless days during sunspot minimums following weak sunspot cycles similar to Solar Cycle 24. "Long periods of spotless days will become even more frequent as we go deeper into solar minimum," Donovan predicted. Once extended periods of spotless days become more frequent, another solar precursor will become important, he said. "New high-latitude, opposite-polarity Cycle 25 sunspots will then begin to appear more frequently, perhaps by late next year," Donovan said. "More frequent Cycle 25 sunspots will signal that we're approaching the bottom of the [Cycle 24] solar minimum phase." An ongoing solar precursor that could herald the future strength of Cycle 25 is the intensity of the solar polar magnetic fields prior to the Cycle 24 solar minimum, Donovan said. "The good news is that the solar polar magnetic field strength is already slightly stronger than it was prior to the last solar minimum," he said. "This suggests that Cycle 25 will be somewhat stronger than Cycle 24." Donovan said if the long periods of spotless days end in about 1 year, that will be a precursor of a stronger Cycle 25. If they take more than 2 years to end, however, it will portend a weaker Cycle 25. Read more. "Microphones" is the topic for the latest (April 12) episode of the "ARRL The Doctor is In" podcast. Listen...and learn! The popularity of HF digital communications among Amateur Radio operators continues to grow rapidly. A few watts of RF power are all it takes to work the world - digitally! Fully update d, the second edition of Get on the Air with HF Digital by ARRL's own Steve Ford, WB8IMY, is a step-by-step guide that'll get you started in the fascinating world of HF digital technology. 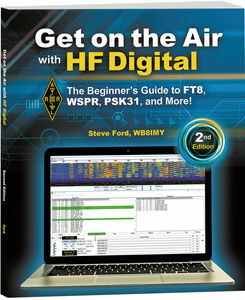 Written in an easy-to-understand style, this book will show you how to set up and operate your own HF digital station. The text includes instructions for configuring software programs for popular modes such as PSK31, RTTY, FT8, and JT65. You'll also learn about other digital communication modes such as MFSK, Olivia, PACTOR, and WSPR. "I believe this may be one of the first books to include discussions of FT8 and WSPR operating for beginners," Ford said. Let's Build an HF Digital Station: An HF digital station boils down to three essential pieces: A radio, a computer, and a device that ties them together. PSK31: Enjoy text chats around the world with low power and minimal antennas. RTTY: RTTY may be a vintage operating mode, but it's still the champ when it comes to contesting and DX hunting. WSJT-X Modes FT8 and JT65: You'll be astonished at how low you can go with FT8 and JT65. High power and big antennas are definitely not required! MFSK and Olivia: With these two modes, you'll still be chatting when all the others have given up. PACTOR: When your message absolutely must get through error-free, PACTOR is a great way to go. WSPR: Transmissions are strictly one-way, but the results are fascinating. Get on the Air with HF Digital (2nd edition) is available from the ARRL Store or your ARRL Dealer. (ARRL Item no. 0833, ISBN: 978-1-62595-083-3, $22.95 retail, special ARRL Member Price $19.95). Call (860) 594-0355 or, toll-free in the US, (888) 277-5289. It's also available as an e-book for the Amazon Kindle. As part of its educational outreach to schools through the Education & Technology Program, ARRL will offer three summer sessions of the 2018 Teachers Institute (TI) on Wireless Technology -- an expenses-paid professional development seminar. The deadline to apply for this summer's sessions is May 1. Apply online. Teachers Institute provides teachers at all grade levels with tools and strategies to introduce basic electronics, radio science, space technology, satellite communication, weather science, microcontrollers, and basic robotics in their classrooms. Wireless technology can be a useful tool within a context of science, technology, engineering, and mathematics (STEM) project-based education. The Teachers Institute curriculum is designed for motivated teachers and other school staff who want to learn more about wireless technology and bring that knowledge to their students. Two TI levels are offered. The introductory TI-1 course will be offered twice this summer: July 16 - 20 in Dayton, Ohio, with Larry Kendall, K6NDL, and July 23 - 27 at ARRL Headquarters in Newington, Connecticut, with Tommy Gober, N5DUX. The TI-1 course is a prerequisite for the advanced TI-2 course, which will be offered July 9 - 12 at ARRL Headquarters with Matt Severin, N8MS. TI-2 students must hold an Amateur Radio license. An Amateur Radio license is not required to take the introductory workshop. The TI is only the beginning of a participant's exploration of wireless technology. The goal of the TI program is to equip educators with necessary foundational knowledge, and -- through hands-on learning -- inspire them to continue to explore wireless technology, adapting relevant content into classroom instruction. Qualified applicants must be active teachers at an elementary, middle, high school, community college, or university, or be in a leadership or enrichment instruction role in an after-school program. 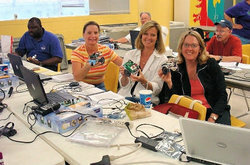 Teachers Institute grants cover transportation; accommodations; a modest per-diem for meals; instructional resources for the electronics, microcontroller, and robotics segments of the course, and a resource library of relevant ARRL publications. A refundable $100 enrollment fee must be submitted with the application. Graduate credits are available through Fresno Pacific University. These can be used to satisfy professional growth requirements to maintain teaching credentials. The class is self-contained, and participants are expected to complete all requirements during the class time allotted. Graduate credit forms may then be requested at the end of the Teachers Institute. More information is on the ARRL Education & Technology Program page. Contact ARRL Lifelong Learning and Knowledge Department Administrator Ally Riedel with any questions. The first ARRL VEC Amateur Radio examination session in Cambodia was held on April 5. The session resulted in two new Technician licensees, both Cambodian nationals, and one university professor, who tested all the way to Amateur Extra-class in a single bound. Currently, no path exists for Cambodians to obtain an Amateur Radio license in that Southeast Asia nation, but qualifying for an FCC-issued US license enables licensees to obtain a Cambodian license based on their US tickets. "This is very exciting news!" ARRL VEC Manager Maria Somma, AB1FM, said. Volunteer Examiners were Mike Adams, KH0AS -- a resident of Cambodia who holds XU7AJA; Guy West, N0MMA/XU7AKA, and David Creel, AH0AM, who visits Cambodia often. Participants were associated with the National Polytechnic Institute of Cambodia (NPIC). The radio club there has been active in contests for the past 3 years, using Adams' XU7AJA call sign. Adams has been working in Cambodia for more than 20 years and living there full-time for the past 3 years. He said that, while foreigners can get a reciprocal license, there is no process for Cambodians to earn a ham one, except to show a foreign radio license. "We hope to work with the Ministry of Post and Telecoms to show there is a demand for Amateur Radio in Cambodia," he said. The second public test of FT8 DXpedition Mode has shown that the mock DXpedition stations ("Foxes") were able to work the pileups of callers ("Hounds") at a fairly good clip. Logged data showed that 390 unique stations were copied by one or more of the three Foxes. FT8 is part of the WSJT-X digital software suite. Ned Stearns, AA7A, the operator at W7/KH7Z, learned to manage queues of calling stations much more effectively as his hour progressed, according to co-developer Joe Taylor, K1JT. "After a program restart at 1532 UTC, he worked 105 additional stations at a rate of 225 per hour during the remaining part of the hour," Taylor reported. "Slowly but surely, we are optimizing the software and improving our 'FoxOp' skills. Further progress will definitely be possible!" Taylor also released a list of stations heard and worked during the second public test of the still-beta FT8 DXpedition Mode protocol. It showed that W1/KH7Z logged 61 stations in 36 minutes for a rate of 102 per hour; K1JT logged 55 stations in 21 minutes for a 157 per hour rate, and W7/KH7Z worked 174 stations in 60 minutes, a rate of 174 per hour. Stearns told ARRL that FT8 DXpedition Mode is nearing general release, but he expects another public test. "The development team has identified a few of the defects that were uncovered in the test on April 7 and is currently working on the fixes," he said. Taylor's March presentation on WSJT-X at the MicroHAMS Digital Conference has been posted on YouTube. Taylor has credited the "very professional" editing by Budd Churchward, WB7FHC. The ARRL Rookie Roundup (SSB) returns on Sunday, April 15, starting at 1800 UTC and continuing through 2359 UTC. The aim of Rookie Roundup is to encourage recently licensed operators in North America (including territories and possessions) to operate on the HF bands and experience competitive Amateur Radio operating. You're a Rookie if you were first licensed in 2018, 2017, or 2016 (send the year you were first licensed in the exchange). You can qualify as a Rookie for just 1 year in two possible ways: if you were licensed before 2016 but made your first Amateur Radio contact during 2018, 2017, or 2016, or if you never made a contact using the mode of the Rookie Roundup event (in this case, SSB) before the 2018 Rookie Roundup (send the current year in your exchange). The object is simple: Rookies attempt to make as many contacts as possible during the 6-hour event on 80, 40, 20, 15, and 10 meters. Rookies work everyone, and non-Rookies work only Rookies. Experienced operators are encouraged to participate and help new operators -- either on the air or in person. Experienced hams may want to consider opening their stations to Rookies and serving as contesting mentors. The more operators on the air, the more fun the Roundup will be for everyone. Rookies call "CQ Rookie Roundup," while veteran operators call "CQ Rookies." Exchange the call sign of the station you're working, your call sign, your first name, the two-digit number of the year first licensed, and your state, Canadian province, Mexican call area, or DX. To register teams or to submit your score after the event, visit the Rookie Roundup page hosted by Bruce Horn, WA7BNM. Rookie Roundup events take place three times a year: SSB in April, RTTY in August, and CW in December. Contact the ARRL Contest Branch for more information. Read more. 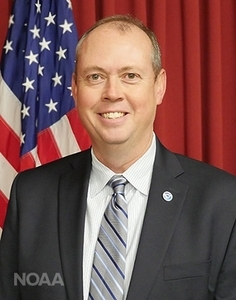 Kenneth Graham, WX4KEG, is the new head of the National Hurricane Center (NHC) in Miami, the National Oceanographic and Atmospheric Administration (NOAA) has announced. Preparations at the NHC continue ahead of the 2018 hurricane season, which begins on June 1. Graham picked up the reins from Deputy/Acting Director Ed Rappaport on April 1. "It's an honor and privilege to be selected to work alongside the talented and dedicated employees of the National Hurricane Center," said Graham. "This is an exciting time to work for the National Weather Service, and I look forward to the important work ahead in an effort to keep our communities safe from the various threats posed by hurricanes." He and Rappaport were presenters at the recent National Hurricane Conference in Orlando. Graham comes to the NHC after serving as the meteorologist-in-charge of the National Weather Service New Orleans/Baton Rouge Office since 2008. "Graham has vast experience working with emergency managers prior to and during a wide variety of weather threats and spent time deployed with officials at emergency operations centers," the NOAA announcement said. A former TV meteorologist, Graham holds a B.S. degree from the University of Arizona and an M.S. degree from Mississippi State University. 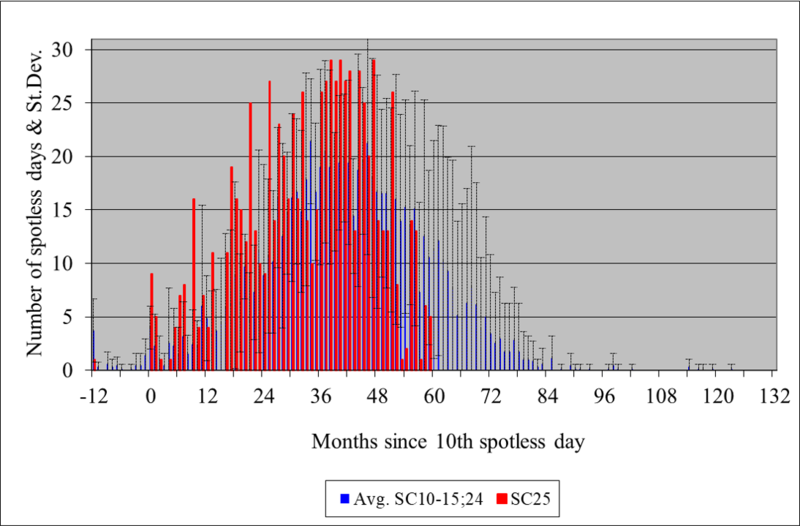 Tad Cook, K7RA, Seattle, reports: No sunspots were seen over the April 5 - 11 reporting week, so the average daily sunspot number declined from 3.3 to 0. Average daily solar flux dipped from 68.6 to 67.7. The average daily planetary A index increased from 5 to 9.4, and average daily mid-latitude A index went from 4 to 8.1. A minor G1-class geomagnetic storm occurred on April 11, as Earth passed through a high-speed solar wind stream. Predicted planetary A index is 18 on April 12; 15 on April 13-14; 12, 8, 5, and 8 on April 15-18; 15 on April 19-21; 12 and 10 on April 22-23; 5 on April 24-May 5; 8 on May 6; 18 on May 7-8; 15 on May 9; 12 on May 10-11; 8 on May 12-13; 5 and 8 on May 14-15; 15 on May 16-18; 12 and 10 on May 19-20, and 5 on May 21-26. 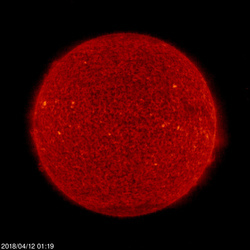 Predicted solar flux is 70 on April 12-18; 68 on April 19; 67 on April 20-22; 68 on April 23-May 5; 67 on May 6-19, and 68 on May 20-26. Sunspot numbers for April 5-11 were 0, 0, 0, 0, 0, 0, and 0, with a mean of 0. The 10.7-centimeter flux was 66.4, 67.3, 66.8, 67.9, 68.7, 68.5, and 68.3, with a mean of 67.7. Estimated planetary A indices were 9, 4, 5, 5, 11, 18, and 14, with a mean of 9.4. Estimated mid-latitude A indices were 8, 3, 4, 5, 11, 14, and 12, with a mean of 8.1.